PHILADELPHIA, Pa. – Each of the top three picks in Thursday’s MLS SuperDraft were used to select forwards, and five of the 21 first-round selections were used to select goal scorers. 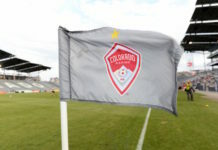 But with the highest number of goals allowed (62) in the Western Conference in 2014, the Colorado Rapids had an immediate need of defensive personnel entering the draft. Colorado addressed this need by moving up in the draft, exchanging their No. 19 overall pick, a 2016 pick and future considerations with Columbus to move up to No. 14. 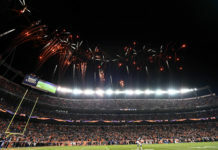 It was later revealed Friday that those “future considerations” entailed the trade of left back Chris Klute to Columbus. 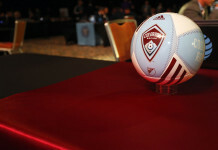 With that pick, the Rapids selected 6-foot-7 central defender Axel Sjoberg. The Swede started his career with the academy of Djurgardens IF before playing collegiately in the U.S. at Marquette, starting all 63 games of his college career. The Rapids continued their concentration on defense in the second round, selecting another tall centerback with the selection of 6-foot-6 Joe Greenspan of Navy. Greenspan was a 2014 NSCAA All-American in 2014 for the Midshipmen; although Pablo Mastroeni indicated in some interviews that it may be a couple of seasons before Greenspan joins the team due to Naval service. Of note, the Rapids’ original first-round pick for 2015 was supposed to be slotted in at No. 5 overall, but that pick was given to Portland in exchange for former forward Danny Mwanga. Mwanga was selected by Orlando City in the recent MLS expansion draft. Portland, in turn, used the acquired selection to pick Notre Dame Midfielder Nick Besler. The 2015 MLS SuperDraft will conclude on Tuesday, January 20 via teleconference call. There was plenty talk surrounding the players at yesterday’s SuperDraft, but an equally compelling topic of conversation was Pablo Mastroeni’s facial hair. The Rapids head coach was sporting a handle bar mustache that had social media abuzz. 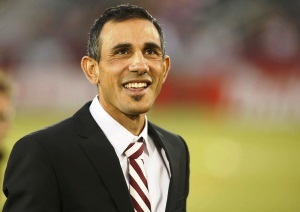 The Rapids wrapped up draft day by trading for one of Mastroeni’s former teammates, sending the third allocation ranking and allocation money to the L.A. Galaxy for midfielder Marcelo Sarvas and an additional international roster spot. The 33-year-old is a two-time MLS Cup winner (2012, 2014) with the Galaxy and appeared in 88 matches over the past three seasons, tallying nine goals and 19 assists.